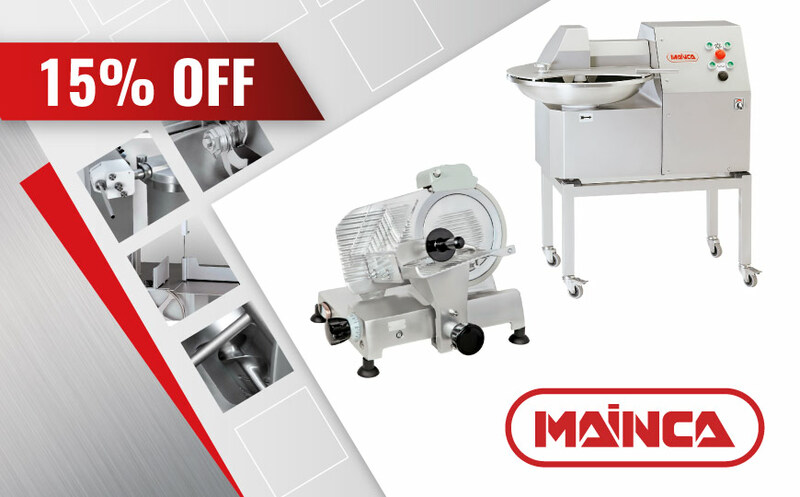 15% discount on Mainca products until December 31, 2018. Enjoy until the end of the year a 15% discount on all MAINCA products. The best equipment for the process of meat and sausages at incredible prices!